The theme for this month is "Changes" for the City Daily Photo bloggers. This bridge has not been changing except more and more weeds are growing around it. 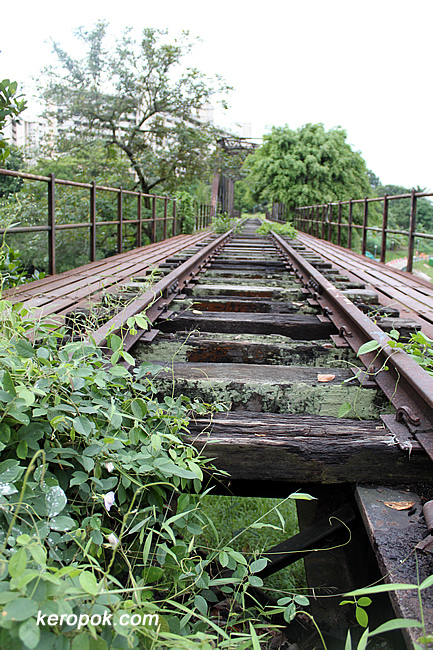 It's the old railways that existed long ago in Singapore. The wooden sleepers must have been around for the longest time 'sleeping'. haha..
See what others around the world are photographing.